You won't be Fooled with us! Don’t get fooled this April Fools. 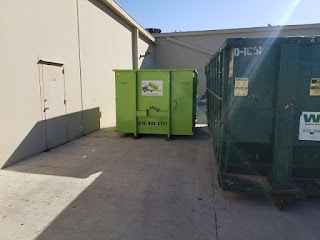 Call Bin There Dump That for the most transparent pricing, best customer service, and always on time dumpster rental. We offer a size that can handle your next big project. One of our customer service reps will gladly tell you all the features offered at no additional cost. Like our no damage lay down system, transparent upfront pricing, on time delivery at the time of your choice, and even a friendly spot sweep after the bin is removed so that it’s like we were never even there. Now what can get better than that!